Lately, I’ve been writing about the importance for students to learn more about paid social media as part of the media mix. In the below post, I’m going to share a new in class activity I did this semester in my COMM 322 Social Media class [see all posts about the class | see past class syllabi] to help students further explore paid social media. One thing I struggle with in my social media class is finding a way to bring this into the class in a manner that helps students gain hands-on experience. In the past, I did an assignment where students identified a target audience and mocked up a Facebook ad in the Facebook Creative Hub. The purpose of the ad was to promote themselves in some way. This year, I took a slight turn with the assignment. I backed away from the creation of the ad and placed more emphasis on what we can learn about Facebook users by exploring audience data and how that might inform ad planning. Specifically, I wanted my students to understand what they could learn with Facebook Audience Insights data. I thought it would be very insightful to have them peel back the curtain and see what a business can see with Facebook Insights. While it would be best to have access to the Facebook page of an organization, this is not necessary to explore Facebook data. Instead, any person with a Facebook account can explore user data through the Facebook Creative Hub by accessing the Insights tools. If you haven’t played around with the creative hub before, it is a series of tools that help advertisers research and plan ads for Facebook and Instagram. You can create ad mockups to share with others so that they can see what a potential Facebook or Instagram post would look like on the native platform. You can manage ads for clients that you manage. You can create Facebook ads and run campaigns. You can research and learn about Facebook users. You can do several other tasks to track behavior between Facebook, events, websites, and apps. In my class, I wanted to focus on the tool within the creative hub that lets you do audience research on Facebook users. This part of the tool is called Facebook Audience Insights. You can read more about it here and watch a brief overview of the Facebook Audience Insights tool. Now, it is a little confusing because Facebook also has an audience insights webpage called Facebook IQ that publishes brief reports based on Facebook data. They have a section about insights into Facebook audiences. 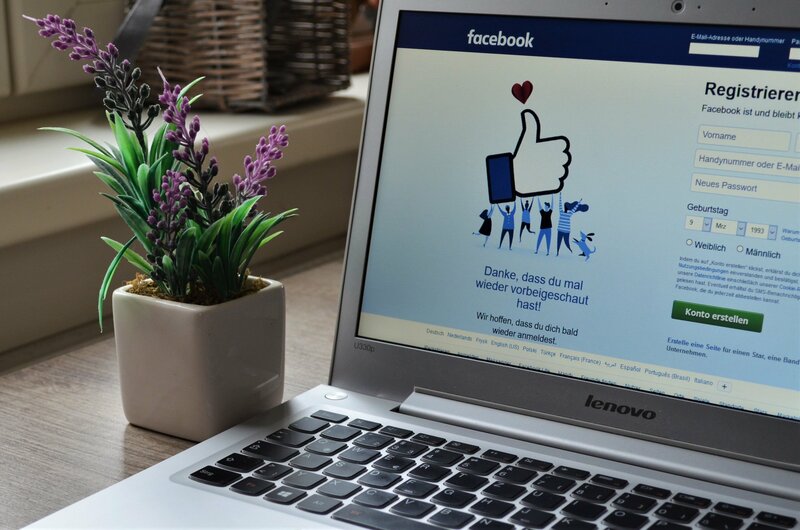 So, think of Audience Insights as the tool you can use to gain insights about Facebook users. Think of Facebook IQ as a resource for reports from Facebook about their user data. Select ‘audience insights’ from the menu. Once you’re in the Audience Insights tool, you can conduct research on people who like your pages (that is, pages that you manage via the Facebook account you are logged in with). Or, you can search data about all Facebook users. In this video, which I made for my students, I play around with searching for data on Audience Insights. As you can see, you can search by demographic information, interests, affiliations, and the like. I wanted my students to try and deconstruct what data might be helpful to an advertiser planning to create a Facebook ad. The rationale was for students to be thinking about how the Facebook audience data could inform decision-making. So I had students work in teams and pick an existing Facebook ad from the inspiration gallery that Facebook provides. You can find the gallery here: https://www.facebook.com/ads/creativehub/gallery/. For example, a team of student could pick the Audi Facebook video ad. I then told the students to search a little bit about the ad campaign to see if they could find any information about it. For example, through some quick Googling I was able to find that the BMW 4in4 ad campaign was done by the FCB Inferno agency. I then had the students go into Facebook Audience Insights. There, they researched a bit about the type of people who like the brand for the ad they chose. Now, there are a number of ways one could approach researching to create an ad on Facebook for a brand. But, what I wanted to do was have students try to learn 1) what they can do with Facebook Audience Insights and the kind of knowledge they can glean, and to learn 2) a bit about the type of user that already likes a brand with the rationale being that there may be some interesting insights here that could inform the creation of an ad based on people who are already interested in that brand. You could, of course, do a twist on this. For example, one of our groups was interested in an M&M ad and decided to search ‘chocolate’ as an interest to cast a wider net for the type of person that might like their product. To search an interest, go to the ‘interests’ parameter on the left and type a topic. In the below image, I’ve searched “Audi,” If you return to the video I created, I show you how conducting this search will filter your results for Facebook users who have an interest in that topic. You can see demographic information, other interests, other pages liked, etc. I asked students to put together a brief, impromptu presentation for the below questions. I asked students to provide a breakdown of key takeaways of their audience across demographics, page likes, location and activity. Here, students were sharing screen grabs of their findings with the class. What age range would you target? What gender(s) would you target? Which is the primary country and city you would target? What is a bit of information from the page likes, interests, etc. that might help you in targeting or planning your ad? What are the main points we should be aware of? What ideas can we get from this data? The students expressed interest in this and said it was cool to be able to explore Facebook or Instagram ads and think about who they were trying to target. They said it was also cool that they got to dig into Facebook Audience Insights as none of them had ever dug into this data before. One student, who owns his own small business, was very interested in looking at how he could use the data to help his business grow. He and I talked a bit about ways that he could use this data to do more research about his potential audience as well as ideas for how he can better use Facebook to advertise. I think an added bonus was that this activity got students thinking about how their own data is used to target them on sites like Facebook. In peeling back the curtain, they could begin to see how the things we do on social media are used to target us. I was particularly interested in a presentation that one group gave about Häagen-Dazs UK. They found that more women than men tended to like the brand on Facebook. The same was true for other ice cream brands. They noted that the Häagen-Dazs ad targeted women for a Wimbledon campaign. However, when they researched the brand’s other ads, they noticed that romance was a major theme, including a US campaign with Bradley Cooper. How would they use this information? They argued that they would create a campaign aimed at getting men to buy ice cream as a romantic gesture, targeting the men in one set of ads. They would also target the women with a different message to emphasize the brand as a desirable romantic gesture. Altogether, I think this was an eye-opening activity and a hands on learning opportunity for the students. I think there is more that I could do with this next year. My students have little to no prior knowledge about paid social media before taking my classes. I feel there is more that I want to be doing in this space. This activity took the entire class to complete, with 20 minutes that the end of class for each team to get up and deliver their findings. In the future, I’d like to bring in Facebook IQ into the activity. I’m looking for a way to have students do some research on the reports in the Facebook IQ website. Then, I would like to eventually expand this out so that students are using the knowledge they gained to mock up their own ads. I would also like to get students thinking about searching for the brand itself as an interest, but possibly comparing a brand with its competitor’s audience. 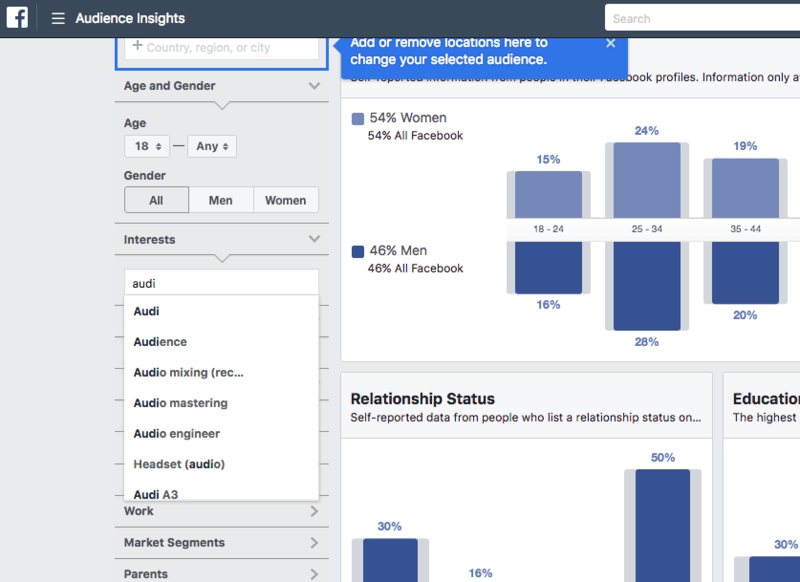 How are you using Facebook Audience Insights in your classes? Or, more broadly, how are you getting your students thinking about paid social? Top photo is in the public domain. Other image is a screen grab I created. Note that, according to my admittedly somewhat messy notes of ideas and inspirations for class projects , the above 3 questions are inspired from and direct quotations of questions on an assignment that Kathleen Stansberry shared with me. Dr. Stansberry is a leading professor teaching social networking and data analytics in the field of communication. I love how these questions force the students to think about data and decided to incorporate them when creating this assignment.